Place the cake in a medium bowl, drizzle over the sherry and allow to stand for 5 minutes. While the sherry is being absorbed, place the mascarpone, custard and orange rind in a large bowl and, using electric beaters, beat for 5–6 minutes or until soft peaks form. 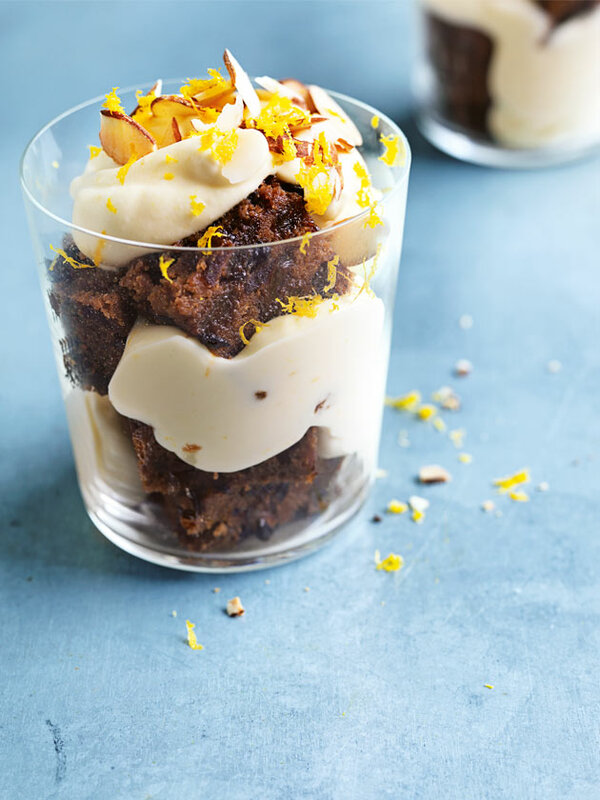 Divide the cake and mascarpone mixture between glasses and top with the almonds and extra orange rind to serve. Serves 4. + Pedro Ximénez is an intensely sweet, dark sherry from liquor stores – you can substitute it with any sweet sherry.